There is something alluring about the Steampunk style, which marries the industrial age and a genre of science fiction. My apologies to avid followers of Steampunk for oversimplifying. When I was asked to teach a recent class, I wanted to use Sizzix Angel Wings die. But what else could I bring to the table besides the wings? 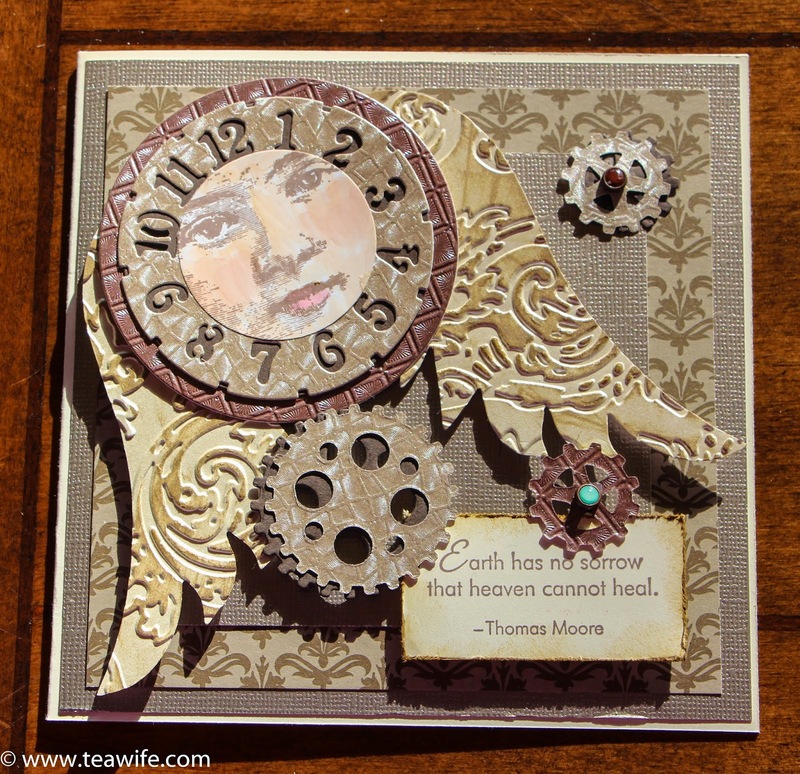 Perhaps a vintage lady image and some clocks and gears! 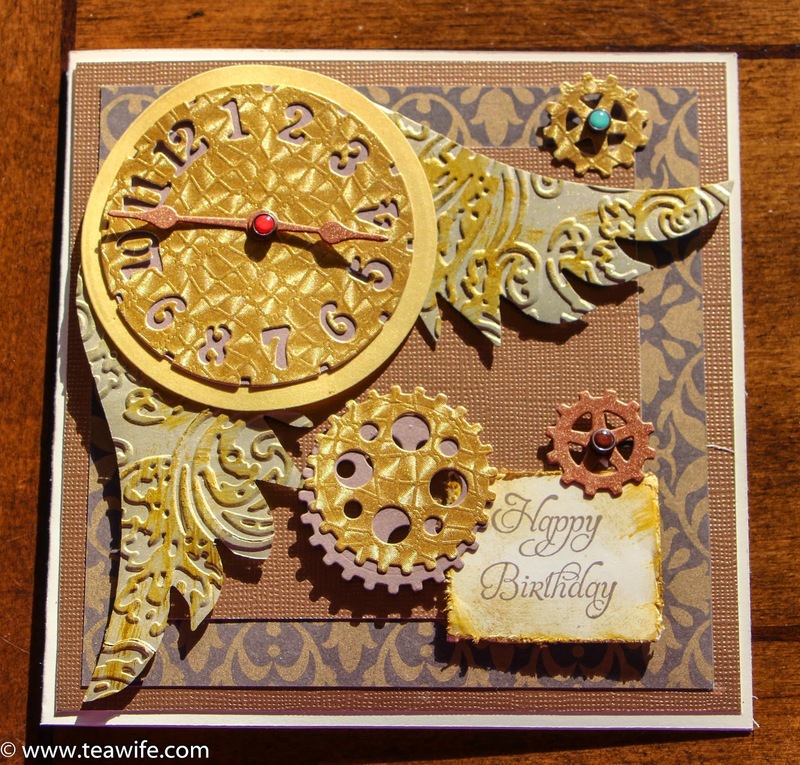 Marrying them all together screamed Steampunk, and thus I designed these Time Flies cards.